Memory problems on routers is nothing new. It is generally less of a problem in current day, but is still seen from time to time. BGP is capable of handling large amount of routes and in comparison to other routing protocols, BGP can be a big memory hog. BGP peering devices, especially full internet peering devices, require larger amounts of memory to store all the BGP routes. Thus it’s not uncommon to see a BGP router run out of memory when a certain route count limit is exceeded. A router running out of memory, commonly called Low Memory, is always a bad thing. The result of low memory problems may vary from the router crashing, to routing processes being shut down or if you lucky enough erratic behavior causing route flaps and instability in your network. None which is desired. Applications not releasing used memory chunks. Insufficient memory allocation to a Nexus VDC. This is the final follow-on post from OTV (Part I) and OTV (Part II). In this final post I will go through the configuration steps, some outputs and FHRP isolation. I setup a mini lab using two Nexus 7000 switches, each with the four VDCs, two Nexus 5000 switches and a 3750 catalyst switch. I emulated two data center sites, each with two core switches for typical layer3 breakout, each with two switches dedicated for OTV and each with one access switch to test connectivity. Site1 includes switches 11-14 (four VDCs on N7K-1) and switch 15 (N5K), whereas Site2 includes switches 21-24 (four VDCs on N7K-2) and switch 32 (3750). 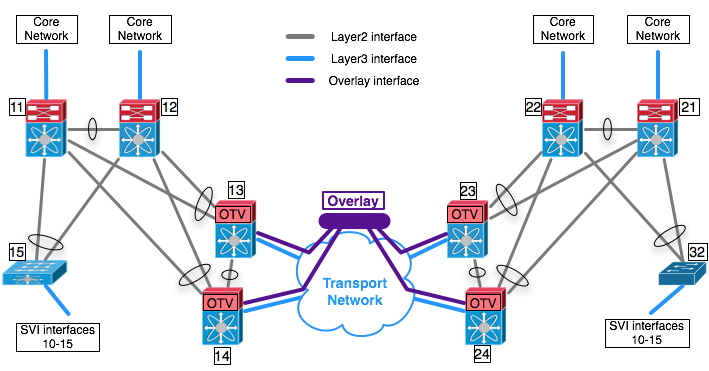 To focus on OTV, I removed the complexity from the transport network by using OTV on dedicated VDCs (four of them for redundancy), connected as inline OTV appliances and by connecting the OTV Join interfaces on a single multi-access network. Before configuring OTV, the decision must be made how OTV will be integrated part of the data center design. Recall the OTV/SVI co-existing limitation. If core switches are in place, which are not the Nexus 7000 switches, OTV may be implemented natively on the new Nexus 7000 switch/es or using a VDCs. 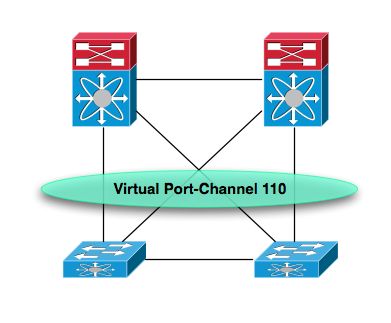 If the Nexus 7000 switches are providing the core switch functionality, then separate VDCs are required for OTV.